Understanding of dynamics of the materials behavior such as phase transformation, dislocation motion, fracture and so on, in-situ observation is one of powerful techniques. In this talk, I would like to introduce about past and current situation and the advantages of the in-situ TEM studies with our studies. 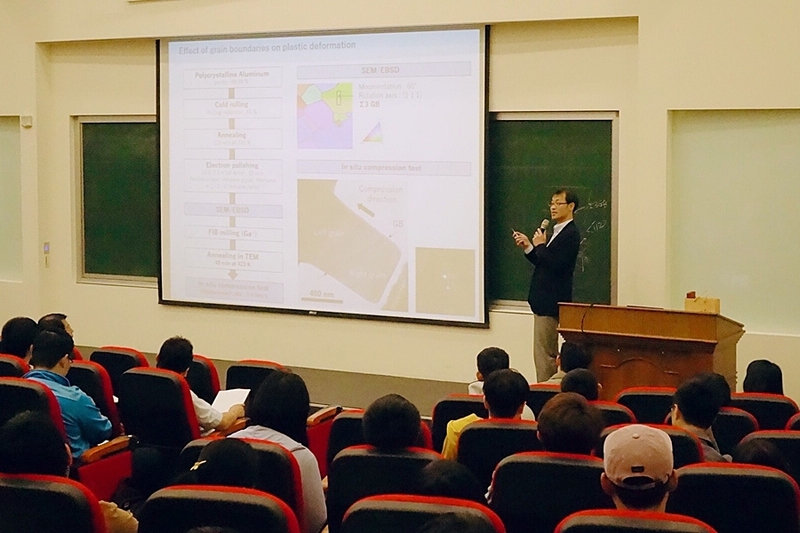 Dislocation motion during plastic deformation in metals is also given in this seminar.